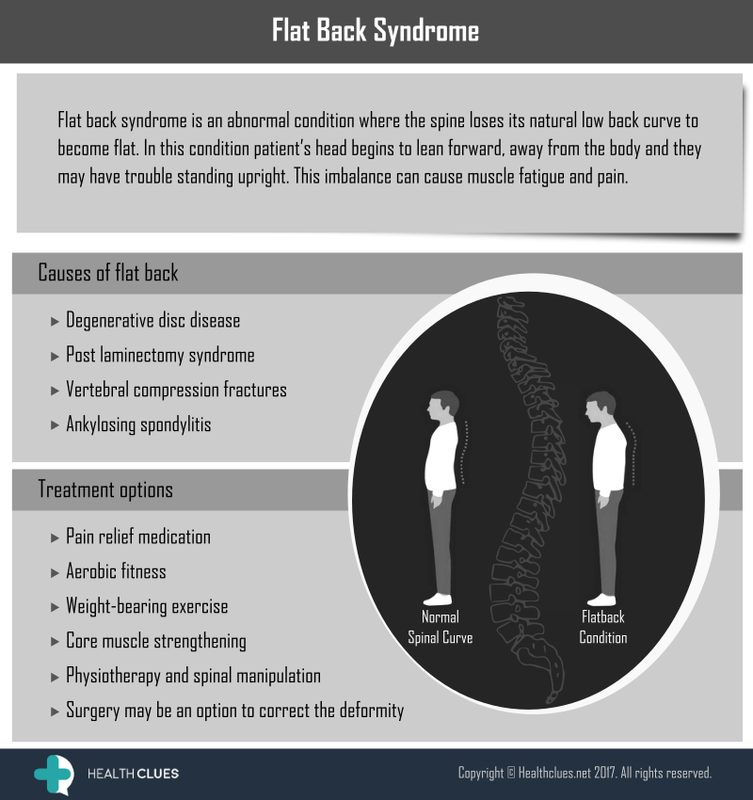 Flat back syndrome is an abnormal condition where the spine loses its natural low back curve to become flat. In this condition patient’s head begins to lean forward, away from the body and they may have trouble standing upright. This imbalance can cause muscle fatigue and pain. General, Infographics curvature of the spine, Flat back syndrome, spine, spine arthritis, spine conditions, spine health. permalink.